Brusho really is a one-of-a-kind, unique painting medium! The colours are a transparent, highly-pigmented watercolour ink that comes packed in small drums which contain the dry, crystalline powder. Available in an extensive range of exciting colours, they mix instantly with cold water to produce a painting medium that is renowned for its versatility. 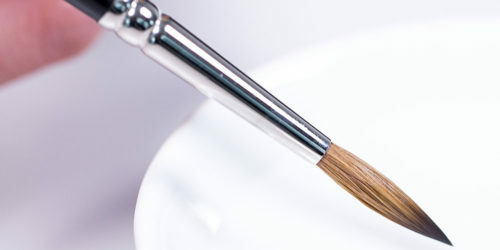 Using Brusho gives you the ability to produce vibrant and expressive paintings with ease. All Brusho colours are fully intermixable providing you with an infinite colour palette! You will be able to produce a endless hues, tints and shades either by mixing, diluting or otherwise altering the concentration of the paint. You can alter and manipulate colours just by layering additional washes of colour over your original work, creating interesting effects. Brusho also offers a good degree of lightfastness, and is completely non-toxic. The medium itself is highly-unpredictable and very fun to paint with! It lends itself well to a loose, expressive style and is much easier and faster to learn than traditional watercolour painting. Once the Brusho is applied, you really have no choice other than to let the paint do the work! 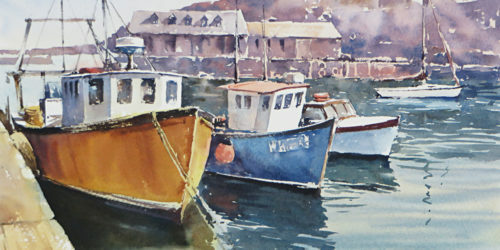 Traditional watercolour painting can be stressful at times; there are lots of opportunities for the painting to go wrong. Using Brusho is stress-free as there are really no errors to be made! Once the Brusho has been applied to your painting surface it will move organically to form interesting and unique washes of colour; you can sit back and watch the magic unfold! Brusho is unique in the sense that many of the effects you can achieve by using it cannot be replicated with any other media! 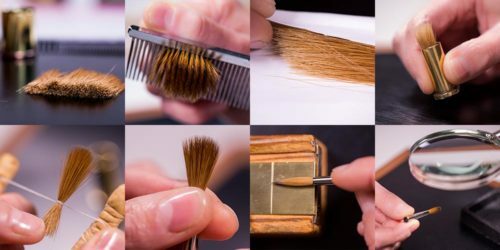 It can be used for a whole variety of artistic applications, from staining wood and card, creating fabric wall-hangings to making watercolour designs. If you are using Brusho to stain cloth it is worth noting that the colours are not fixable on fabric. If you already use watercolour paints, then Brusho is a great medium for you to try, use it alone, or alongside you traditional watercolour paints. Brusho is also great even if you are totally new to art. It can be a very forgiving medium, allowing you to paint in a loose, expressive style making happy accidents along the way! Even after many years of using Brusho, there are always new discoveries to be made with this very interesting product! Brusho is currently available individually in 32 different colours or in two sets of 12 or 24. Accessories are also available including Brusho Thickener and a Brusho Secrets DVD! Joanne Thomas is perhaps the only art tutor in the world that teaches budding artists to create expressive, contemporary watercolours with Brusho. She first began experimenting with this little-known paint medium 4 years ago and instantly fell in love with its unpredictable, eye-catching properties. She realised that not only did Brusho allow her to create images with a vibrancy unlike anything else, it also forced her to keep things loose and impressionistic – a style that has seen Joanne’s work sold in major high-street retailers and galleries across the UK. Seeing the appeal it would have to both complete beginners and experienced watercolourists, Joanne set up Brusho painting classes in her local area. Word spread and classes grew to become one of her most popular events. 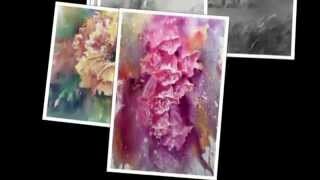 You can watch and learn with Joanne’s free video lessons on both her watercolour and Brusho techniques. In the Brusho Secrets DVD Joanne lays out her complete step-by-step guide to the Brusho painting method. A drawing board – so you can tip your paper for colour runs.